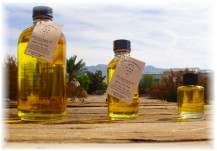 La Ronna Jojoba sells only organically grown jojoba oil. After harvesting, winnowing, and hulling the seeds they are almost ready for pressing. The last step we perform is to place all the seeds on a drying table, and pick out all the moldy, rotten, and partially germinated seeds. We do this as part of our quality control. Moldy, rotten, and partially germinated seed will result in oil having a high acid value. If you have sensitive skin or some irritation, oil with a high acid value will exacerbate that problem. The first building we constructed on our property was our seed press building. The creation of our product happen there. Once the seeds are completely clean, we scoop them into the hopper of our continuous feed expeller press. The oil drips down a stainless steel pan, into a stainless steel tank. The oil drips down the middle and the pressed seed, or meal, drops simultaneously at the end of the machine. After the oils is expelled, we filter the oil in stainless steel tanks, bottle, then label our product. We sell our 100% pure certified organic jojoba in 8 ounce, 2 ounce, and 1/2 ounce sizes. We always package our jojoba in glass because jojoba reacts to plastic, absorbing it into the oil resulting in very low grade jojoba oil. We do sell gallons of oil. They are packaged in food grade stainless cans. Jojoba oil is very similar to Sperm Whale oil, therefore there are numerous applications from industrial, to pharmaceutical, to cosmetic uses. Jojoba oil penetrates all layers of the skin. Used consistently calluses will slough off, dry areas become soft and supple, and your skin will have a beautiful, healthy sheen. Jojoba contains natural Vitamin E which is what helps to promote healthy skin. Many people have said after a few weeks of use, the Jojoba oil removed their warts. It has eased, and in some cases cleared acne, eczema, and psoriasis conditions. Jojoba is a great hair conditioner. Add a capful or so to your shampoo, and shake the shampoo well before each use. Adjust the amount added to shampoo to meet you hair’s requirements. Jojoba acts as a solvent to the sebum at the base of the roots follicle enhancing a healthy scalp. Use the oil for makeup removal, sunburn and windburn relief, cuticle care, massage and bath oil. Men enjoy using it before shaving to relieve razor burn/rash. Use your oil sparingly, as a small amount spreads a long way. Jojoba has an SPF (Sun Protection Factor) of about 3 - 5. We recommend application 10 or so minutes before going out into the sun. The oil will have penetrated your skin in that amount of time. Fair skin folks should still use a sun screen with a higher SPF after applying Jojoba. Of all of the wonderful people who we have had the good fortune of meeting, nobody has positively impacted our quest for jojoba like the late Dr. Thomas K., and Dr. Glenda Miwa. Both are chemical scientists, and “Chief Jojoba Nuts”. 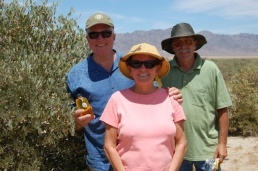 The Miwa’s founded the Jojoba Society of America, a non-profit organization dedicated to forwarding the jojoba industry. It was at one of these meetings in October 1988 when Dr. Tom Miwa presented Larry & Donna Charpied with a certificate declaring them official “jojoba Witnesses”. We howled at the play on words, and said we promise to spread the word about jojoba. Dr. Tom Miwa worked for the Department of Agriculture, in Peoria Illinois as a research chemist in the 1950’s for 22 years. He explained to us that when we was trying to analyze jojoba, the gas chromophotography would not analyze it. It was then when Dr. Miwa realized that jojoba did not have the same chemical composition as a vegetable oil. He recalibrated the chromatograph and learned that jojoba is not an oil but a liquid wax, with the chemical composition of Sperm Whale oil. He shared his research with the world in many technical papers, magazine and newspaper articles. He compiled edited JOJOBA VOLUME 1, a book of research documents, communications, and notes. 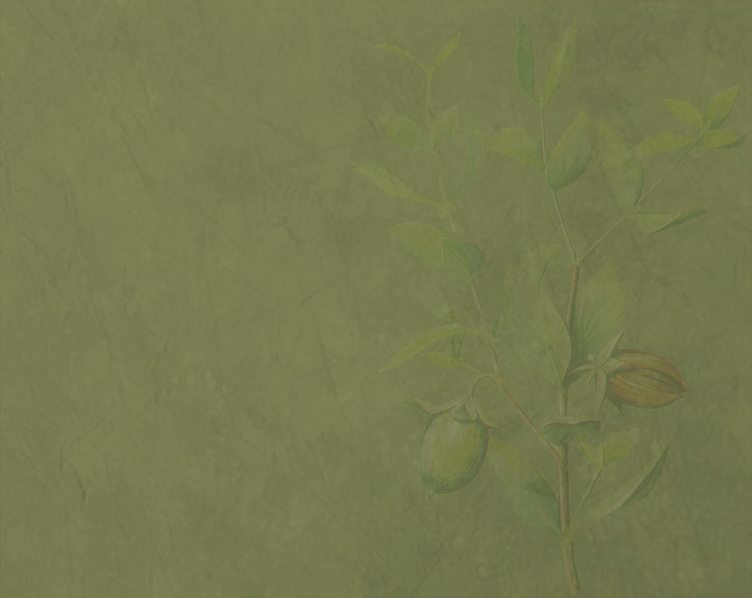 To us it is the Bible of research regarding the properties of jojoba. We learned how to properly extract and filter jojoba to create the purest product possible. Dr. Miwa chaired a joint meeting of the United Sates and Japan, which ended with an agreement to ban harvesting of the sperm whale. 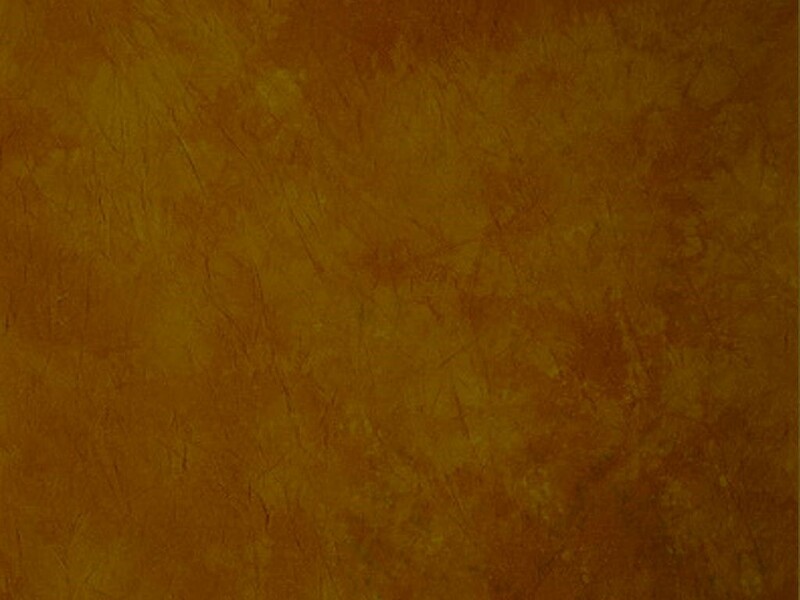 He has been around the world talking to dignitaries about this wonderful wax, from the desert shrub. To this day, the sperm whale is on our endangered species list, with much of the credit going to Dr. Miwa. Dr, Miwa formulated products from automotive additives, to candles, to soaps & shampoo, to plastics made with jojoba oil. Dr. Glenda Miwa continues the Jojoba Society of America meetings that we attend every year to meet with our “jojoba Witnesses” and exchange news, ideas, and good friendship. Jojoba is one industry that got it’s “jump start” from our Nation’s Endangered Species Act. Larry & I were always protesting nuke plants, off shore oil, and LNG plants on the coast of Santa Barbara. We decided we need to have a replacement for oil instead of just saying “no”, “no”, “no” all the time. Jojoba is the answer. It is a renewable resource that could be part of our Nation’s energy policy. An energy policy that includes jojoba would be sustainable.